People who have climbed the mountain should have such experience. After a hard time, they must take a unique commemorative photo of the trip on the triangle. Now, we have designed this Taiwanese Baiyue Gina stick. Each Gina stick represents a Taiwan Baiyue. It can be the pride of your successful attack. You can also tie it to your backpack and accompany you all the way. Climb reminds you not to give up, stick to the token. 100 Baiyue Ji Nao sticks and angel's tears - Jiaming Lake, a total of 101, witnessed the mountains you walked through. size Length: 12cm / width: 2cm / thickness: 9.5mm Features ● It is made of environmentally friendly recycled laminated material "closed floor". ● Use laser engraving for high precision and good texture. ● It can be used by yourself or as a gift. 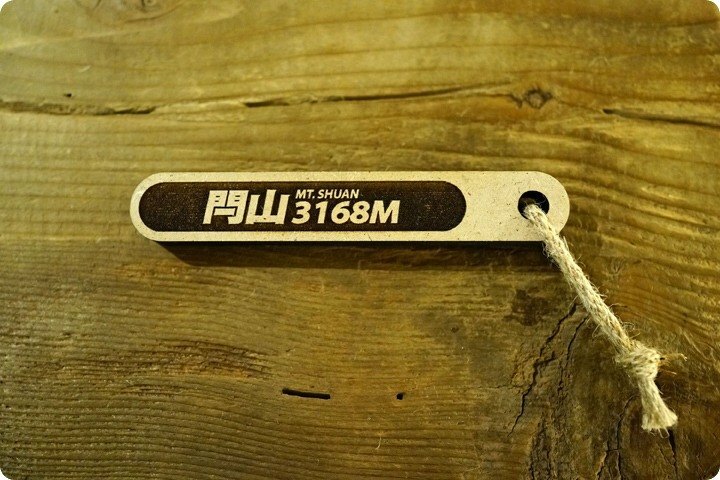 ● Each Baiyuejiu stick has the name and elevation of Baiyue Mountain. Due to the humid climate in Taiwan, wood products are prone to mildew. If there is mold, you can wipe it with a damp cloth and air dry. It is recommended to place it in a ventilated place or use it regularly to reduce the occurrence of mold.